It’s no secret that self-care is vital to your emotional and physical well-being. Countless studies laud the benefits of a wide range of activities, from healthy endeavors like speed walking to creative pursuits like painting, for reducing stress and achieving balance and joy in life. So it shouldn’t be a surprise to learn that taking care of your appearance may have powerful mood-boosting benefits, as well. 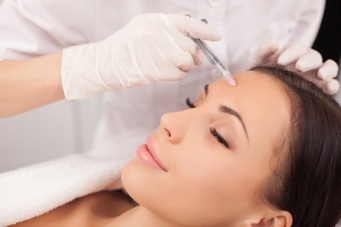 A variety of studies presented in the last decade suggest that cosmetic procedures and treatments like Botox® may help improve mood and even quality of life. One study published in the Journal of Psychiatric Research found that injecting Botox into muscles associated with low mood helped to alleviate depressive symptoms. Human psychology is complicated, and we’re certainly not recommending that people replace therapy or antidepressant medication with injectable treatments. Our takeaway from these studies is the simple idea that aesthetic treatments may provide more than just skin-deep benefits by helping people to feel better about themselves. Anecdotally, it makes sense. Medical Director Dr. Surya Challa, board-certified vein surgeon and specialist, helps hundreds of patients every year to achieve a higher quality of life by alleviating painful, often unsightly, vein concerns with minimally-invasive, state-of-the-art treatments. Likewise, our medical spa clinicians enjoy the smiling faces of patients every day who feel energized and at their best after undergoing their favorite skin or body contouring treatment. We truly can’t wait to help you look and feel amazing! Call 757.663.5461 or request a free consultation today!